Complimentary subscription for CEAI Members with Coverage. $29.95/yr U.S. – $35/yr Foreign. Have you ever dreamed of having your writing published? 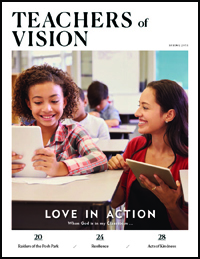 Teachers of Vision magazine invites you to encourage, equip, and empower Christian educators serving in public schools by contributing to our publication. We welcome informative, inspirational, creative, well-written articles addressing subjects of interest to Christian educators working in today’s schools. The editorial staff hopes you enjoy reading the new Teachers of Vision magazine. 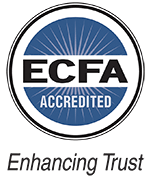 We aim to tackle relevant issues and supply tools that help you overcome the special challenges you face as a Christian educator in today’s schools. Because we want to continually provide valuable resources to all Christian educators who read our magazine, we need to know which topics interest you the most. Please take a few minutes to consider some concerns or subject matter you would like to see addressed in future issues of the publication. Please email me today. Your valuable suggestions help shape Teachers of Vision magazine.